Can I sue the Air Force for medical malpractice? YES – if the person who was physically injured by the Army doctor, midwife or nurse was a military dependent, or retired military at the time of the Air Force malpractice you may file a claim to recover compensation for your injuries. Does medical malpractice happen at Air Force hospitals? YES- a recent study of the 54 military hospitals in the United States and overseas showed that many compare poorly to civilian hospitals on measures of safety in maternity care. Those Air Force hospitals with high rates of birth injuries included: David Grant U.S.A.F. Medical Center, Travis Air Force Base, California; Mike O’Callaghan Federal Medical Center Nellis Air Force Base, Nevada; Wright-Patterson Medical Center Dayton, Ohio; U.S.A.F. Hospital Langley Joint Base Langley-Eustis, Virginia; and 35th Medical Group, Misawa, Japan. Another study showed that the Air Force’s largest hospitals performed worse than civilians for things such as infections and improperly done procedures. Air Force hospitals found to have high rates of surgical complications were Mike O’Callaghan Federal Medical Center at Nellis Air Force Base, Nevada and San Antonio Military Medical Center, San Antonio, Texas. 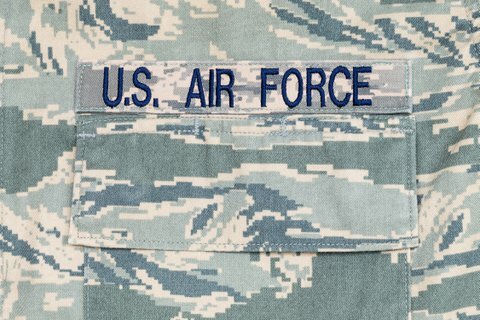 How do I sue the Air Force for medical malpractice? The rules are different when suing the Air Force for malpractice than if you were suing a civilian doctor. For example, you must first file an administrative claim (an SF95), the time limits are different, especially for children, and where you must file the case is different. Therefore it is important to consult a lawyer who has experience suing the Air Force for malpractice to make sure your rights are protected. If you or a family member were injured by negligence of an Air Force doctor or nurse, we can help. Contact us by calling 1-877-695-8757 (24/7), e-mailing us at LawHelp@MilitaryMedicalMalpractice.com, or by filling out the short form on the right side of this page (or on the bottom of this page if viewing on your mobile phone). We offer free, confidential consultations and there is no fee unless we get a recovery for you. 79th Medical Wing, Joint Base Anacostia-Bolling, Washington D.C.